Christmas Tree Ornaments? I often pick up small trinkets in my travels. Some are for others and some are for me. Mine are generally destined for my Christmas tree. They are generally inexpensive and easy to stash in an already full travel bag. Everyplace has something that could hang on a tree for a few weeks. 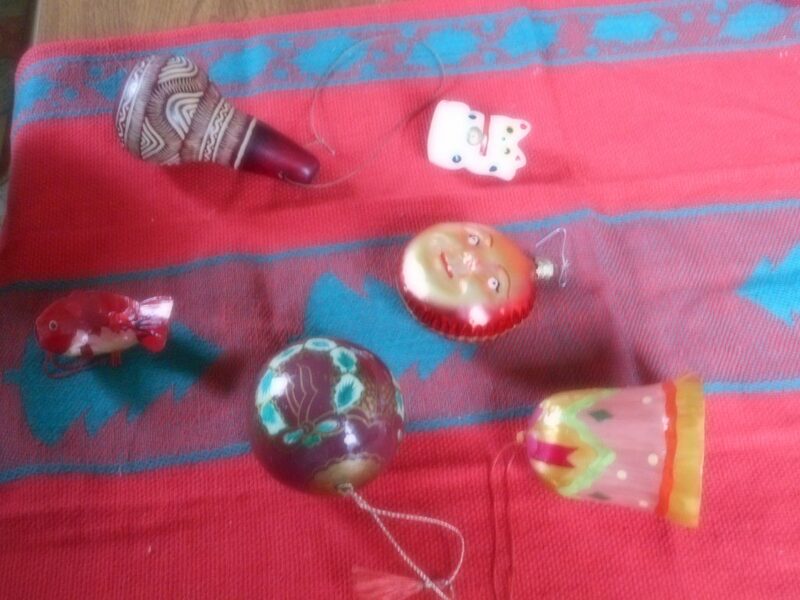 I’m decorating my tree this weekend and these are some of the ornaments that bring back memories. 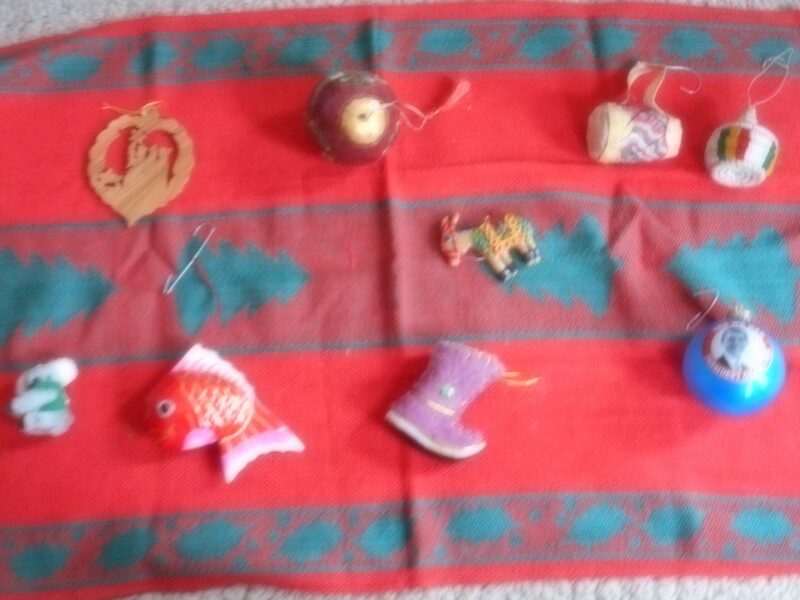 Christmas tree ornaments from (Top Row) Bethlehem, Russia and Ethiopia, (Middle) Ecuador with the bottom row from Australlia, China, Mongolia & USA. If you share an ornament from your travels with a description of what it is and where it is from, I will include it in a post in the next Christmas season.